We are backlogged with a lot of readings. 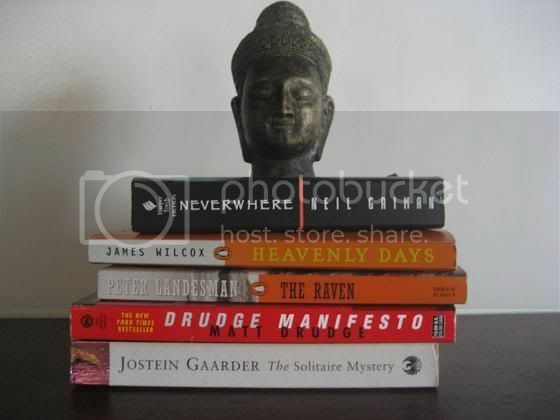 We stack our books in this manner and place our favorite Thai bronze paperweight we got in Cambodia. What's yours?